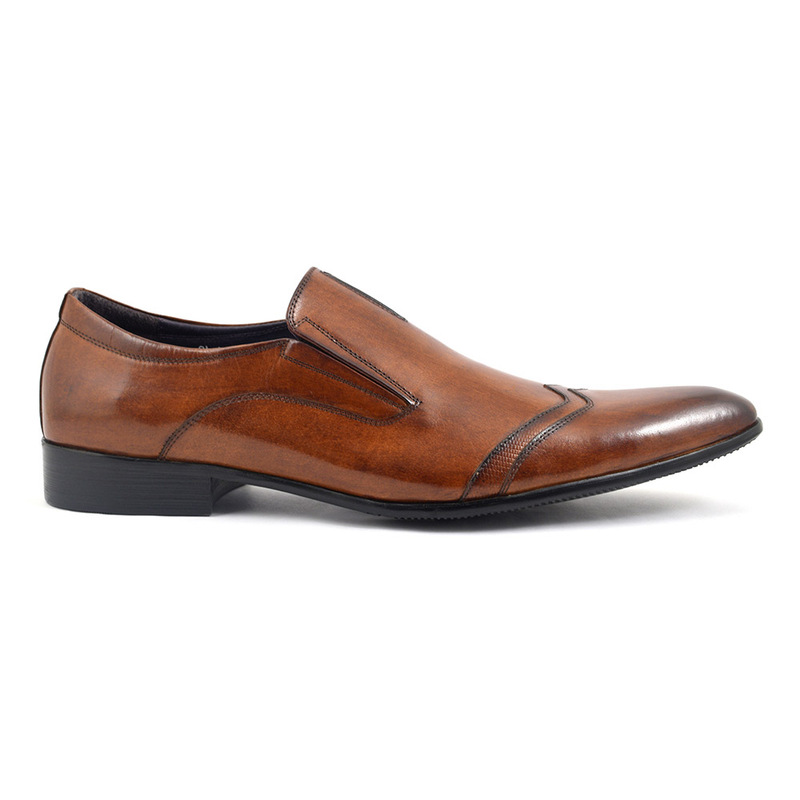 A cool caramel brown leather seeps into a darker brown on the toe of this mens slip-on shoe. 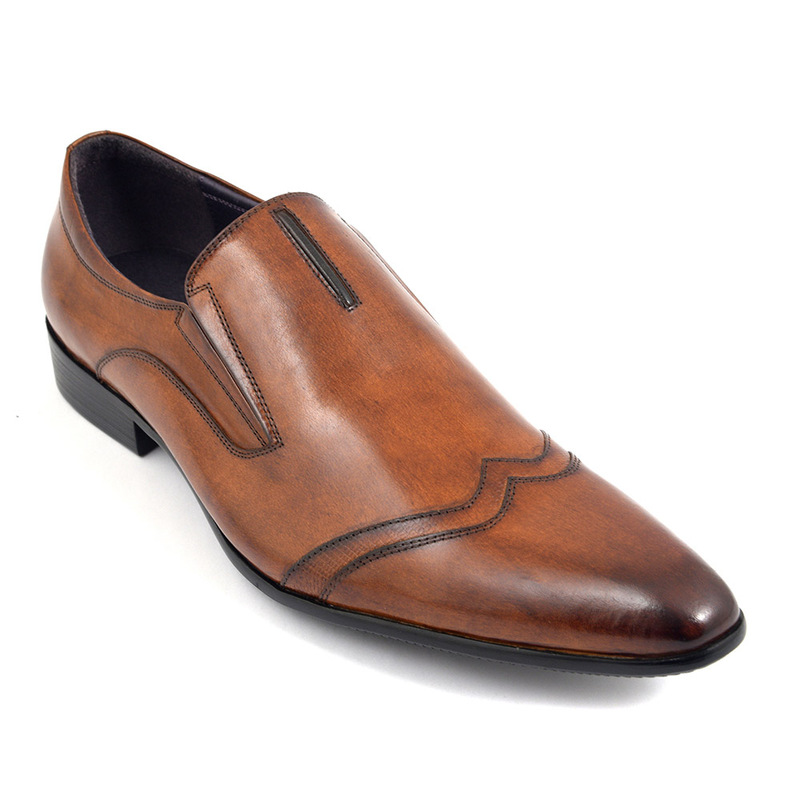 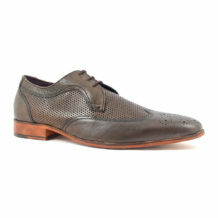 There is a wing tip style detail to the toe and the look is formal with a twist. 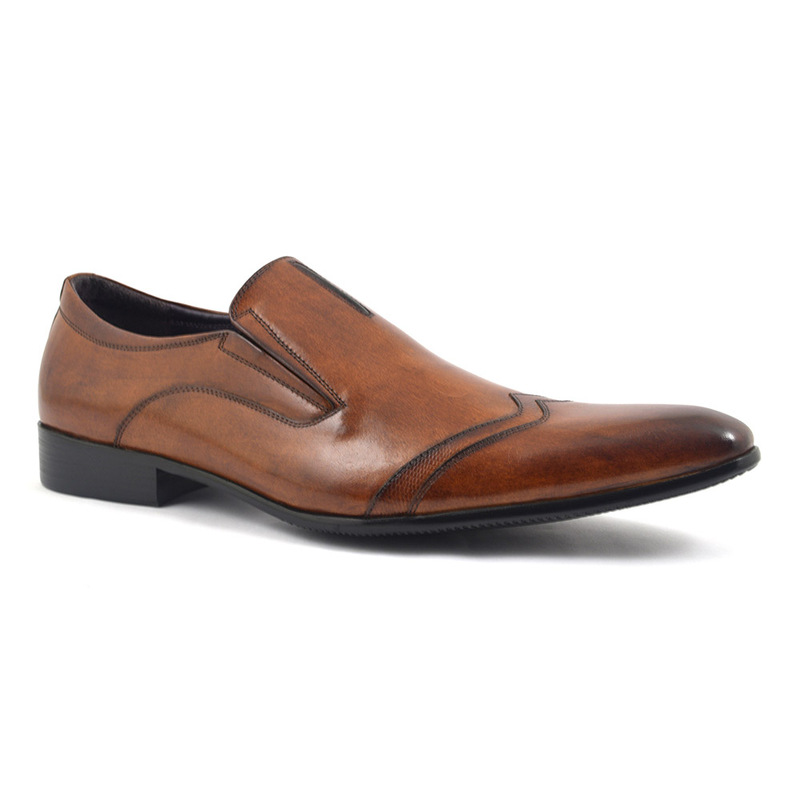 Be the first to review “Gudo Brown Slip-on” Click here to cancel reply.